That’s right! TWO finished objects in ONE blog post! Actually I have not been nearly as productive as that. 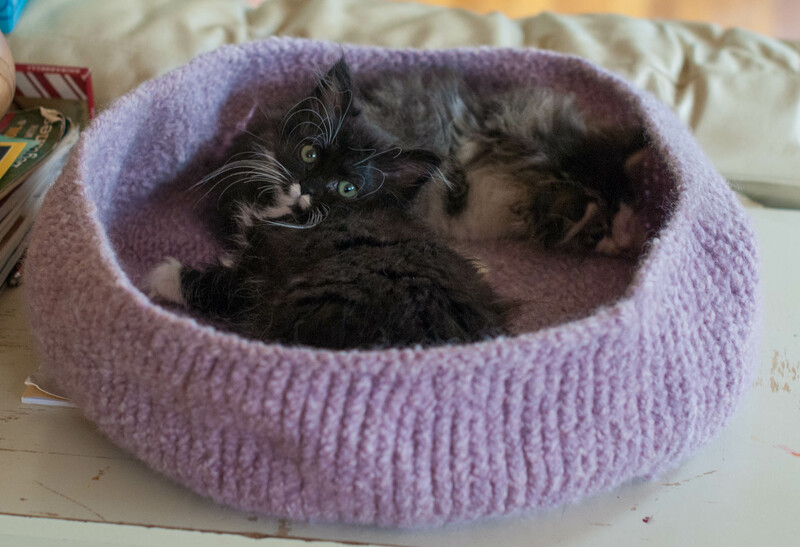 I pulled out an old kitty bed project from several years ago and finished it up, and then used my homespun to make a simple cowl. 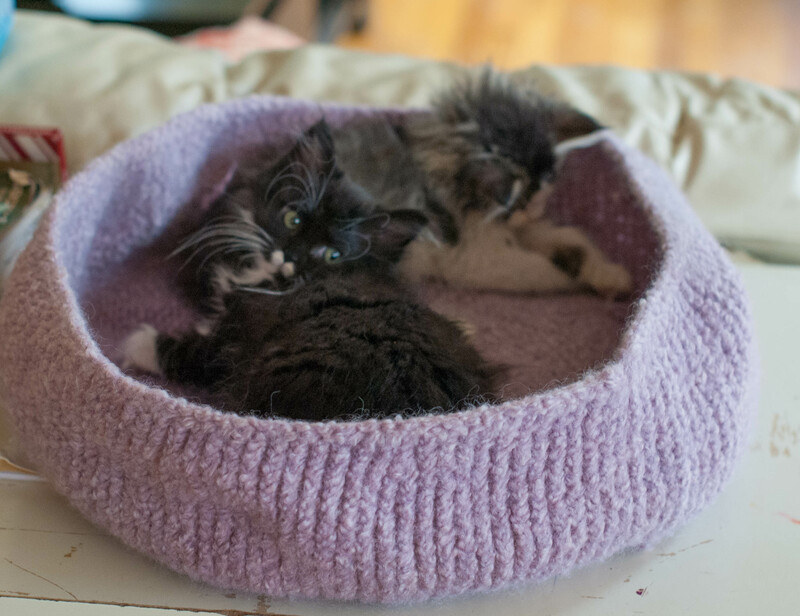 The kitty bed simply required binding off and felting, but since I have an older front-loader, felting is problematic. I ended up boiling it on the stove for awhile, beating it up a bit with a wooden spoon, and then throwing it in the wash. It didn’t come out too badly, but there’s still quite a bit more stitch definition than I would like for a felted item. Fortunately, the kitties aren’t that picky. They love that it’s wool, and that’s that. They’re settling in rather well here; Dilly hasn’t quite decided what she thinks of them yet. She follows them around, and keeps a close eye, but if they get too close she hisses and runs. Sushi and Mister cat are rather more angry still. All in good time, I suppose. I am NOT, however, looking forward to the next several months of bratty/destructor kitten behavior. For the cowl I knitted up, I simply cast 80 stitches onto my size 8 circulars and knit every round until I had used up almost all of it. Then I bound it off, and voila! I’m pretty happy with it. 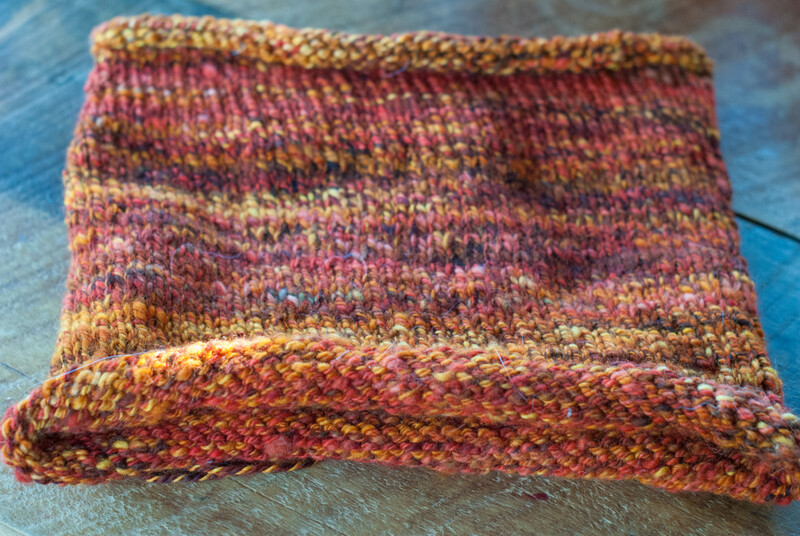 It’s a good, thick, solid cowl; perfect for colder days (that we don’t really get much here in the fall, but whatevs). 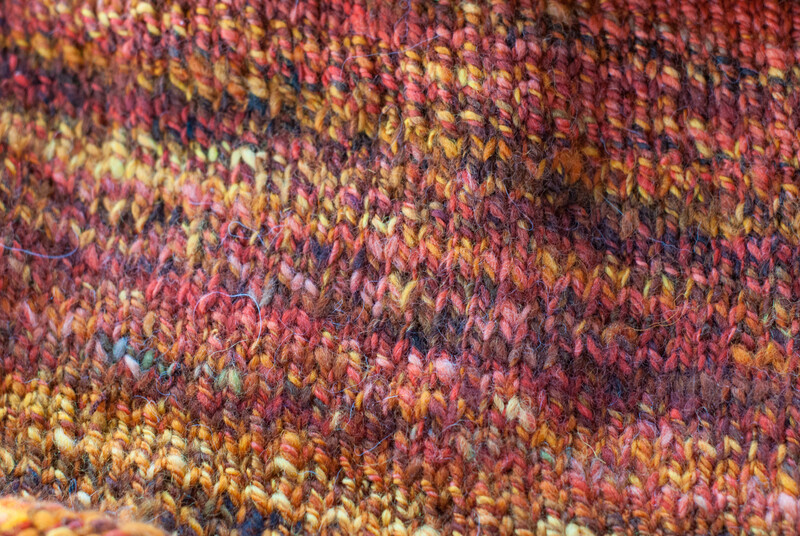 The colors are everything I want them to be and more; like autumn in a cowl! ← Who Turned the Heat Back On?